Explore the complex world of Rakuen and experience a game wrought with emotions, beauty, and grace. In the realm of indie games, standout titles aren’t always those that possess astonishing graphical prowess and/or unique design elements. Oftentimes, some of the best indie games are ones built upon a solid story foundation and supported by an array of believable characters. RPG Maker-esque games are far from being new by design, and can all start to bleed together when developers fail to buoy their games with sufficient originality. Nevertheless, for every RPG that boils down to being “just alright” comes one that truly feels like buried treasure. Games like To The Moon and Actual Sunlight are perfect examples of this, and both titles do share certain similarities with Rakuen. However, the three-person team behind Rakuen showered their latest endeavor with enough love and care that the game truly feels like an original work of art. One that has no trouble standing alongside staples such as To The Moon or even (to be so bold) Chrono Cross and Chrono Trigger. The core premise of Rakuen is the adventure the main protagonist embarks upon with his mother. Then you have the journey itself, which is powerful in that the game’s main character has lived so much of his young life within a hospital setting. This isn't so much overtly handed to you, but even seeing him converse with the hospital residents convey his familiarity with the locale. And due to his young age, this is truly a sorrowful concept. In fact, many of his interactions in the hospital revolve around other sick children. This alone is enough to make you empathize with his desire to see more, and to do more. The game is primarily an exploration game with some light puzzle solving and heavy narrative focus. If you’re looking for a game with combat or a lingering sense of danger, Rakuen may not be for you. 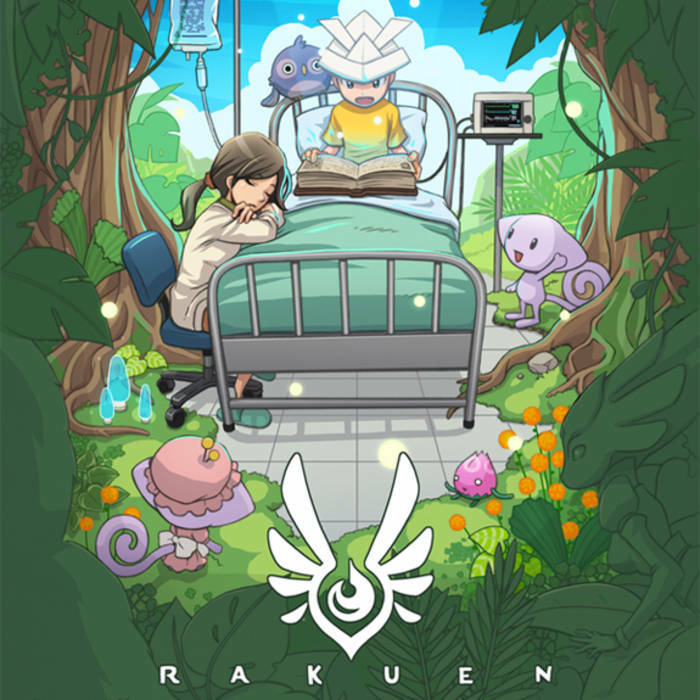 However, if you’re looking to step into the lives of masterfully crafted characters and a storybook landscape, Rakuen is a worthy way to spend 6-10 hours. Arguably one of the best aspects of Rakuen is its soundtrack courtesy of Laura Shigihara, as it beautifully encapsulates the game's weight and depth. The trouble you can run into with games of an RPG Maker nature is that much of the dialogue and story is conveyed via text, which is usually clipped short so as to not overload the player. The very act of clipping the wings of your text can become problematic in a game driven by its story. To put it into greater perspective, authors have around 300 pages inside a carefully crated novel to sufficiently introduce you to know each character and the world they’re living in. 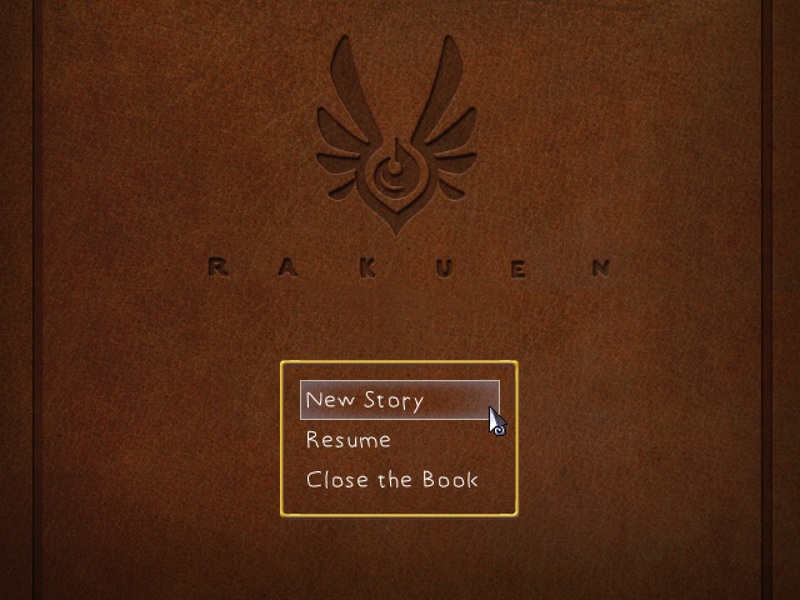 In a game like Rakuen, you’re bound by the visuals, circumstances, and interactive dialogue. To help buoy each character’s individual circumstance, Rakuen delicately coats the backdrop with a soundtrack that is, in its own way, a story itself. In fact, I’d go so far as to say Rakuen’s soundtrack is its best asset. Not because the game is lacking in other areas (it’s not), but because of just how good it is. There are games where a soundtrack can feel like a tacked-on afterthought, and in titles where gameplay is your biggest draw, you can get away with a mediocre string of songs here and there. Yet in Rakuen, you can really feel the love that went into the creation of each track. If you close your eyes, you're still able to experience the story even without seeing the events play out on the screen. Thanks to the mind-blowing soundtrack, the "RPG Maker" type overtones of Rakuen are given a coat of golden paint. And after completing the game, I truly do feel it's a creative masterpiece. One that knows its limitations and finds adept ways at working around them. While Rakuen certainly offers strong writing and an engaging story (one which I wanted to avoid spoiling), it also offers powerful moments of realization and pause. As you venture through the fantasy world of The Forest, the purpose of each quest is never far behind you. There’s so much lighthearted whimsy in Rakuen that you almost forget the game is (at its core) a sad tale. The moments of clarity, where you sit back and contemplate the boy's hospital stay and the reasons why the other children are there at the hospital have a sneaky way of tugging at your heart. Rakuen is truly able to move you despite being a game stripped to the barest of essentials. I'm still impressed by the impressions Rakuen left on me. If you have $10 to spare, and you love games like To The Moon, you definitely need to check out Rakuen. It’s a title that lingers within the hidden depths of Steam just waiting for you to uncover it and fall in love. To learn more about Rakuen, be sure to check out the game's official website, and purchase the game over on Steam! Engaging story and well-written characters. One of the best game soundtracks you'll hear this year. A lot of love and care went into Rakuen, and it shows. 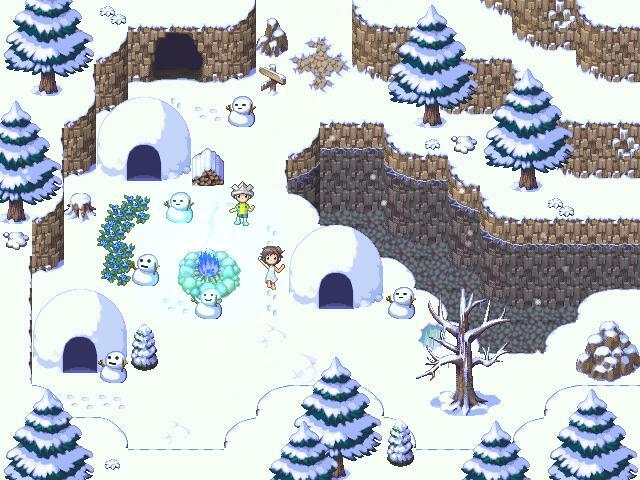 If you're not a fan of RPG Maker titles, Rakuen may not be for you.